Alexander is a little boy, and today he will have the most terrible and horrible day of his young life. Alexander’s day begin with a gum stuck in his hair, when he arrives to school all his teammates tease him because there are Alexander’s pics retouched with Photoshop, in his classroom all is a chaos, followed by one calamity after another. 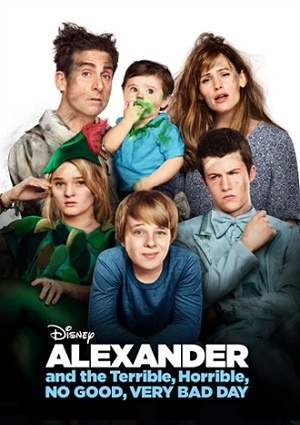 Alexander wonders if he is the only in his family with disastrous days, and he gets a surprise when discover all family find themselves living their own terrible, horrible, no good, very bad day. They must be optimistic, not everything can be so bad does it?